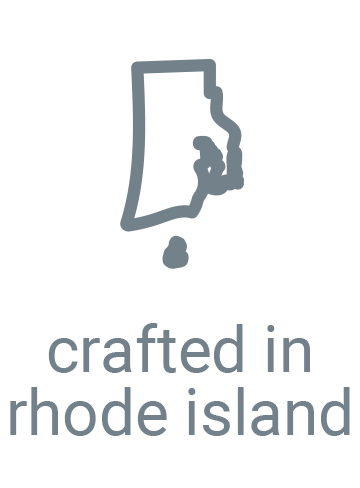 Handcrafted in Rhode Island – Shore Soap Co.
Back by customer request, available across our entire product line. Essential oil blend of lavender and vanilla for a light calming scent. natural soy wax in reusable cocktail glass. — including money off your orders! buy three bars and save $4 on our best sellers. Powerful botanical extracts work together in this lightweight gel face cream. A handcrafted bath and body brand, established in 2013 in Newport, Rhode Island. Shore Soap Co. channels their inspiration from the sea to create quality products that portray nature and simplicity. Depending on your perspective the sea can be many things; beautiful and alarming, serene and turbulent, warm and chilling. We strive to use packaging that has the least impact on our environment and especially oceans. We've reduced our usage of plastic to only the most necessary items and closures and strongly encourage proper recycling. Our preference is for highly recyclable glass and biodegradable cardboard where possible. Our products are sulfate and paraben free and also free from palm oils. We use natural ingredients and never test our products on animals. We don't hide our ingredients; it's all on the label. 8 million metric tons of plastic enter our oceans each year. Each year, around eight million metric tons of plastic waste invade our oceans. Reports show that most plastic packaging is only used once; 95% of the value of plastic packaging material, worth $80 billion-$120 billion annually, is lost to the economy after a short first use. The New Plastics Economy, an initiative led by the Ellen MacArthur Foundation (in collaboration with a broad group of leading companies, cities, philanthropists, policymakers, academics, students, NGOs, and citizens), is rethinking and redesigning the future of plastics, starting with the packaging. This ambitious three-year initiative provides a vision of a global economy in which plastics never become waste and outlines concrete steps towards achieving the systemic shift needed. Every minute, the equivalent of 1 garbage truck of plastic is dumped into our oceans. Studies undertaken by the World Economic Forum, the Ellen MacArthur Foundation and McKinsey & Company have showed the scale of the breakdown in the global plastic system. Of the 78 million tons of plastic packaging being produced annually, a full 32% of the plastic is left to flow into our oceans, the equivalent of one garbage truck of plastic being dumped into the ocean each minute. At current rates, by 2050 there will be more plastic than fish in the world’s oceans. According to reports, if we keep producing (and failing to properly dispose of) plastic at predicted rates, plastic in the ocean will outweigh fish by 2050. The World Economic Forum has reported that the worldwide uses of plastic has increased 20-fold in the past 50 years, and is expected to double again in the next 20 years. By 2050, we’ll be producing more than three times as much plastic as we did in 2014. Located in Newport Rhode Island, a beautiful and history packed city by the sea. Stroll along cobblestone streets and meander up and down hidden wharfs all while being surrounded by gorgeous views and fresh salt air. Our products can be found at over a hundred independent retailers across the country. Visit our stockist page for a complete list and to find the one closest to you. See what we're up to! Follow us on instagram for another view of what we're doing.